I think the second will work good since it’s head on! Thank you! I’m going to try and do better now. Thats what I thought too the second I saw it! 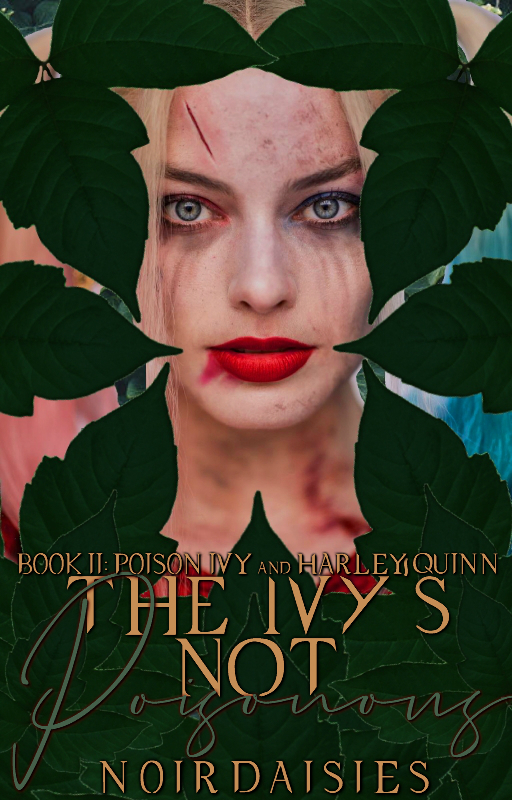 @noirdaisies okay, so I tried something here where I framed Harley's face with the ivy to make it seem like it's enveloping her while she still looks like she's peeking through. Fonts are the same, colors are similar but not 100% the same. I hope you like this one much better. Aw I’m glad! I am too!! Have you thought of a second payment yet? Just a comment on the second chapter of the same story would work perfectly fine! Thanks so much! And thanks for requesting! SUBTITLE*: Can Blood Be Redeemed?